The Best Indicas & Sativas Amsterdam Has to Offer! Your Source for Authentic Dutch Weed Seeds! Ceres Seeds has been kickin' it old-school in smoky old Amsterdam since 1988. Modernized & feminized for your pleasure, these cannabis seeds are what great herb is all about. Ceres Seeds specializes in connoisseur strains for hobbyists & small-scale collectors. Buy Your Incredibly Stable Ceres Seeds Feminized Strains Today! The Mix offers a great selection of Ceres Seeds’ best-feminized seeds all in one pack! Note well that because this is a mix, not all seeds will finish flowering at the same time. Also be aware that these are all Cannabis Cup winners! From Ceres Seeds, Skunk Haze has a unique sweet flavor and a very motivational high. Most likely it is what makes dreams so awesome. As a result of the Haze and Skunk cross, the crop is much heavier and the aroma much spicier. White Widow from Ceres Seeds is a superior Indica cross that has a long lasting stoned effect and is, of course, completely powder coated with trichomes that just fall off when you tap the buds…or the leaves. 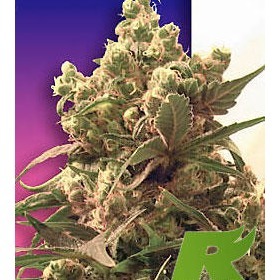 Extremely Stable, 100% Feminized Seeds from Your Homegrown Specialists! Ceres Seeds isn't the biggest Dutch breeder, but that was never their intention. This influential seed company focuses on supplying the small-scale collector with authentic, old-school landrace strains & potent F1 hybrids. Their only nod to modernization was to feminize their amazing line of rock-solid cannabis seeds. This Amsterdam institution has satisfied the cravings for genuine Dutch smoke since 1988, but Ceres Seeds' founder has been dabbling in the cannabis culture for much longer than that. If the legends are true, he started growing weed seeds from the Sinsemilla Fan Club outback with his granny as a youngster. You gotta love that! Here's something else you gotta love - The Rhino works his horn to a nub bringing you the lowest prices on all of Ceres Seeds' cannabis seeds whether you pick a high-powered regular strain or an incredibly good feminized seed. They're all keepers! What're You Waiting For? 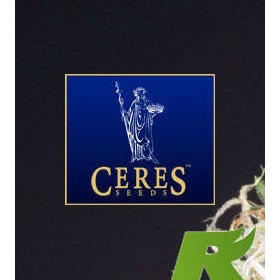 Order Your Ceres Seeds Today!